The University of Arizona's Global Seismology and Tectonics group in the Geosciences Dept. created a webpage for the magnitude 5.2 Duncan (southeast Arizona) earthquake of June 28. 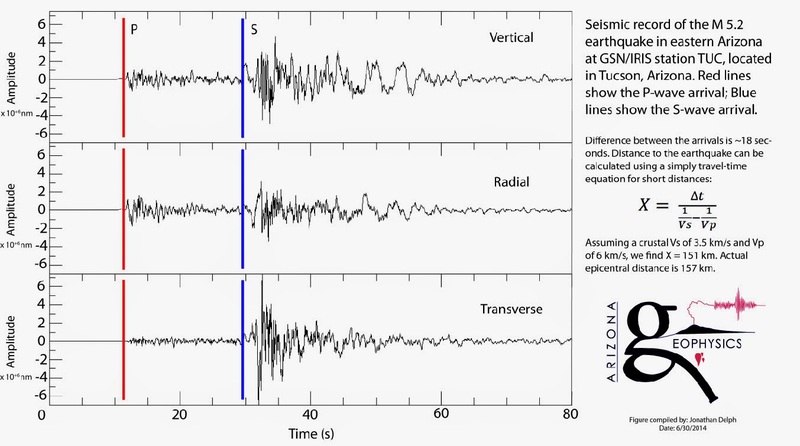 One of the graduate students in the research group, Jon Delph, put together plots of the earthquake record from the Tucson permanent station [right] as well as several other North American permanent stations.